Why race to the top of a dune? Or chase the sunset across the desert floor? Why ride along those mountain trails? Why keep searching for the perfect mud hole or drive all day to get to the middle of nowhere? You do that and so much more because life begins where the blacktop ends. Out here in Duck Creek, it's not what you're leaving behind, it's about chasing the things that really matter, friends, family and a life without limits on the great off-road. As your Duck Creek RZR Dealer, we understand your passion because it's what drives us too! RZR is so much more than a logo on the side of your machine. It's the mark of a common bond, a shared obsession for adventure that bridges generations and spans continents. We don't just make machines, we build friendships, strengthen family ties and fuel the fire of hundreds of thousands that just can't wait to find out what's behind the next curve. RZR is a way of life. A huge community of citizens, leading the way, blazing new trails and raising the bar. This is just a hint of what's yet to come! Pushing the boundaries of performance and rewriting the rules of adventure is why we get up in the morning, and we'll stop and nothing until we get there! So if you're near Duck Creek Village and looking for the most comprehensive RZR dealer in the area, remember Loose Wheels! Whether you’re looking for and entry level RZR or you want the best of the best, we are here for you! With more than 32 years in this business, we know the products, service, parts and financing you’ll need to get out there and hit the trails. Or make new ones! 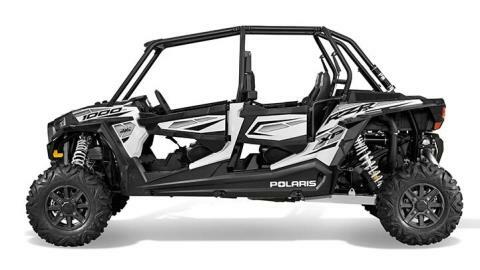 We have everything you need to join the elite community of RZR owners. Give us a call today or come in to see our Duck Creek showroom! We look forward to meeting you!